Craig Van Riper was born in Paterson, New Jersey in 1962 and earned a B.S. degree from Cornell University. He has presented his poetry throughout the United States as well as on both television and radio, including a guest feature on the NBC Today Show and syndications on London, Hong Kong and Japan radio networks. Van Riper has received wide recognition for his work, including the Seattle Arts Commission Seattle Artists Award, a King County Arts Commission Honorarium, and selection as finalist for The Nation Discovery Prize. 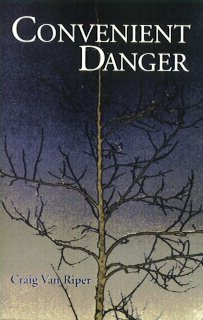 His first collection of poems, Making the Path While You Walk (Sagittarius Press), was published in 1993. Van Riper serves as Contributing Editor of San Franciscos Five Fingers Review and resides in Seattle. 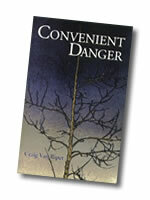 To learn more about Craig Van Riper, do visit his WEB site. Start with a question? No. Around our necks. Fish fur. Only the known is debatable.